Koh Lanta has so much to offer for retired living that I had a hard time whittling my reasons down to 7. So, I threw out the obvious reasons, like the fantastic year-round weather here in southern Thailand. And the amazing Thai people, with their fascinating Thai culture. These reasons are generic to all foreign countries in tropical climates. 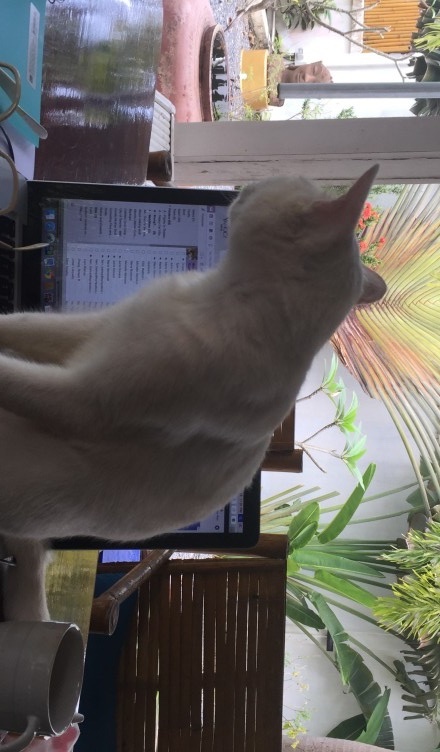 I also threw out the ease of staying in touch with friends and family, as where ever you are on the planet, there are cyber options for communications. I tossed away heath care availability, as it’s available just about everywhere. 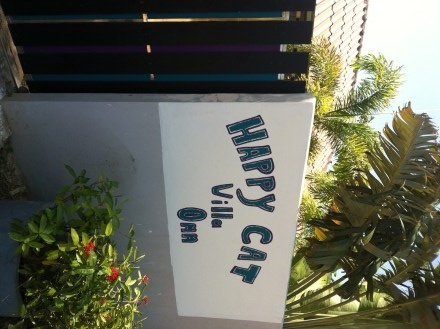 And lastly, I axed that it’s cheaper to live on Koh Lanta than in Canada. All of this is fodder for another great article on ways for comparing and contrasting locations/countries against each other. 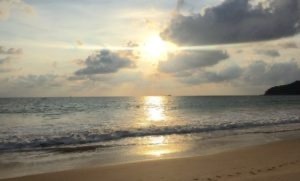 1 – Breathtakingly beautiful– Koh Lanta is amazing visually. From the beaches, to the rubber plantations, the rainforests in the mountains, the trails through the vegetation, the glorious colours of the orchids, bougainvillea and greenery along the roads, to the spectacular views out to sea, with the surrounding islands dotted on the turquoise Andaman horizon. There is always something beautiful to look at on Koh Lanta. Even at night the squid boats, row upon row, way out in the sea, lite up with spotlights to attract the squid, are mesmerizing. And then, after watching them for a few nights, they are gone. A mystery? No, it’s the full moon. It’s so bright, the squid aren’t attracted to the spotlights, so the fishermen have a few days holiday. 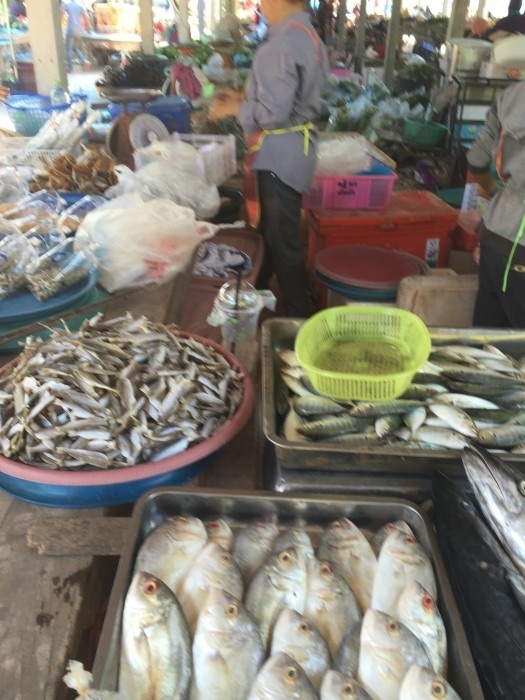 2 – Easy going lifestyle – Anything goes on Koh Lanta. You can live your life as you want to, as long as you don’t offend others or break the law. 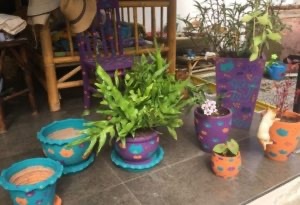 You can truly immerse yourself into a hobby or prance around in whatever style of clothing you want. You can grow your hair, cut it, dye it turquoise to match the sea, or decorate it with the fragrant blossoms from a frangipani tree. No one cares what you do, as long as you are happy and don’t bother anyone. If you want to paint things in bright colours with cat faces, just do it. If you want to stay up all night singing opera on the beach, go for it. If you want to dress up as a pirate, enjoy. If you want to write a novel, do it. If you want to join a full moon party rave,nothing is stopping you! There are no limits to indulging your creativity and passion. 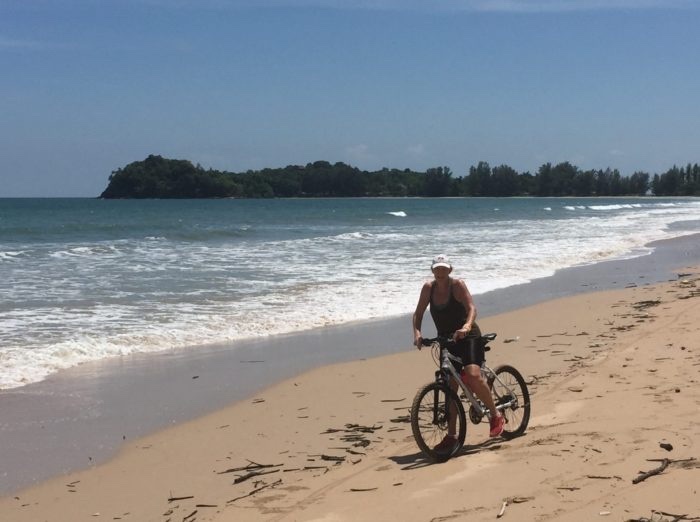 3 – Endless options for exercise – As I’m an avid runner and distance cyclist, I’m in heaven here on Koh Lanta. I can run to my hearts delight, and bike for hours on end. I can pick routes through rubber plantations, the rainforest, by villages and up mountains. There are excellent yoga studios, weight gyms, Muai Thai boxing gyms, and a cross-fit studio for those hard-core body types. Did I mention walking? The beaches are spectacular. Many are up to 4 km long. A morning beach walk is a wonderful way to start the day. The trails I run and bike on, through rubber plantations and into the mountains, are super hiking paths. And I can’t forget the swimming. The island is surrounded by the turquoise Andaman Sea, that is always inviting for a swim, a snorkel or a dive. The choices for exercise are truly endless. 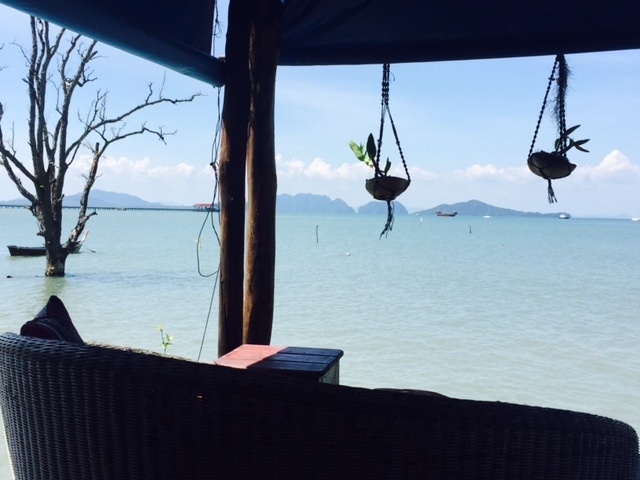 4 – Always something to do – There is never a lack of things to do on Koh Lanta. From November through April, it’s tourist season and there are endless parties, dinners, special events and celebrations. If it’s Monday it’s Quiz Night, Tuesday it’s the Beach Party, Friday is the dance band, and Sunday the sunset get-together on the beach. And this is just within walking distance from my place. Some nights there are so many things happening, that it’s hard to figure out which to do, or how to do it all. Even in low season, when there are few tourists, there is always something to pick from, even something simple like a sunset stroll and a pot-luck dinner with friends. There are a few local charities here that need volunteers. I volunteer with Lanta Animal Welfare, an animal rescue charity, so I can celebrate my passion for cats as I help them with financial activities. 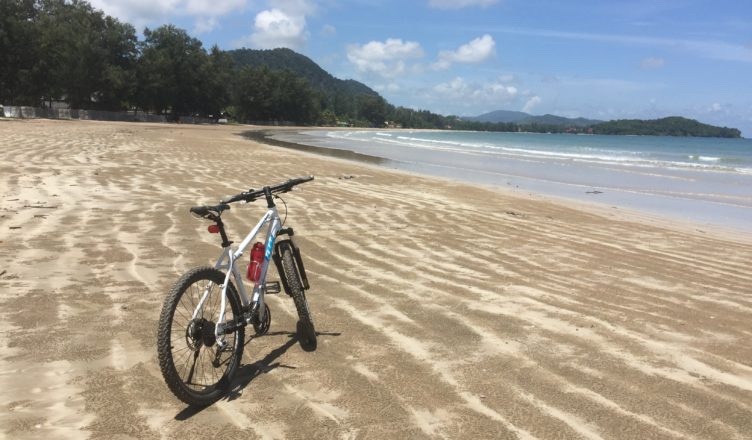 So much to do here on Koh Lanta. 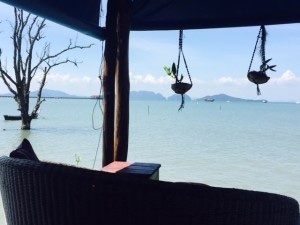 5 – Great Expat community – Koh Lanta seems to have more than its share of expats. Most are retired, with a few that own local businesses. Others have decided to be here to get away from it all in the west. These are mostly divers who rather spend their days deep under the sea with Nemo and Dora amongst the coral. It is surprising the number of retired professionals that are here on Lanta. There is nothing professional looking about them now, just laid-back people, enjoying their lives. And I’m always meeting new people. Each year I meet at least one person who, like me, has been here for years. My friends here are from all over the world, including a good number of Thais. 6 – Delicious food – I’m not just referring to Thai food, but to foods from all over the world. There is a super bistro, a great fusion restaurant, an amazing roadhouse, a few German and European Restaurants, an Irish Pub, a terrific vegetarian restaurant, and a great Mexican restaurant on the beach. And if I want to eat Thai food at home everyone provides for take away. 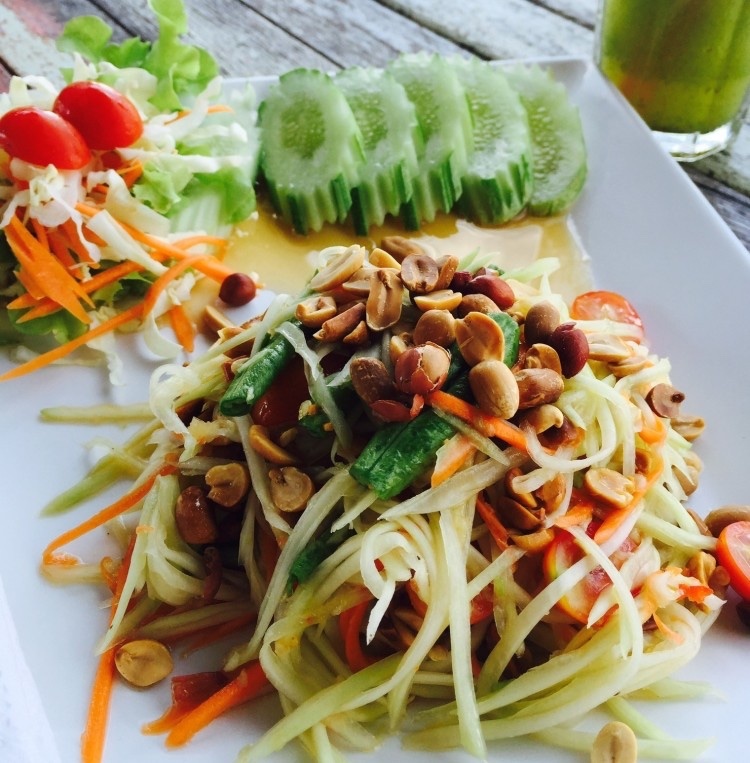 There are even a slew of cooking schools here, so I’ve learned how to make great Thai food. I’ve even learned how to modify it my taste and level of ‘hot’. I stick to2- 3 chillis maximum depending on my tummy that day. I wouldn’t be surprised to see a Beaver Tail Shack opening up. If you’re from Canada, you’ll know what that is. Food here is in abundance with so many restaurants on the island. And this doesn’t include the open-air wet-markets. 7 – Open-air wet markets– Every day of the week there is a wet marketat a different location. On Thursday, it’s up the street, on Monday it’s not that far, and on Saturday it’s near the town, and so on. It’s a shopping and a social occasion as I always see people I know there. The food choices are rather terrific. There are super fresh fruits and vegetables, just caught seafood and fish, chicken and other meats. A huge selection of cooked foods with stall after stall of Thai curries, snacking food on sticks, and sweet desserts definitely tickles my taste buds. There are spices and mounts of all types of curry paste, and a choice of drinks to quench your thirst. It’s hot in the markets and you don’t want to rush around, as it’s so much fun to check out all the stalls. There are fruit shakes, teas, coffees, and fresh squeezed sugar cane, with the juice flowing right out of the ancient squeezer. There are stalls for clothing, kitchen items and sometimes the local Sea Gypsy wives have a jewelry stall selling fresh water pearls. No wonder I wear an armful of pearl bracelets, I get them from the fishermen’s wives as I practice speaking Thai with them. I’m halfway around the planet from Ottawa. No one I know ever heard of Koh Lanta before I told them about it. They are fascinated that I found this place, and curious as to what keeps me here. Sure, I tell them all the reasons I love it here, but they want to come to see and feel it for themselves. I never feel lonely or far away from my friends and family here on Koh Lanta. Everyone is so supportive of my decision to be here. When I was a little girl I used to tell my mother that I would one day live on a tropical island. She would laugh at her precocious little redhead, with such crazy ideas. I think back now and wonder how, at such a young age, I knew with such determination what I wanted. Check out my YouTube Channel for some of mini-videos I took on Koh Lanta. This article was originally published in the Sixty and Me Website. Click this link to go to the publication of this article.